Great boots. You look terrific. 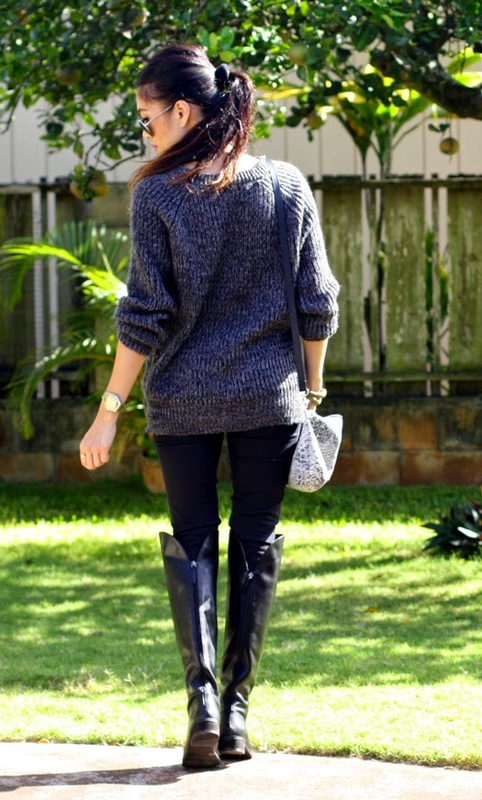 Love the boots and sweater! Definitely looks cozy and chic. You look so pretty and I love your boots! Crazy--yes, that is a good way to put the way things are these days around here too! I LOOOOOVE this outfit. So simple, yet so pretty! Great outfit. That's something I'd definitely wear myself. 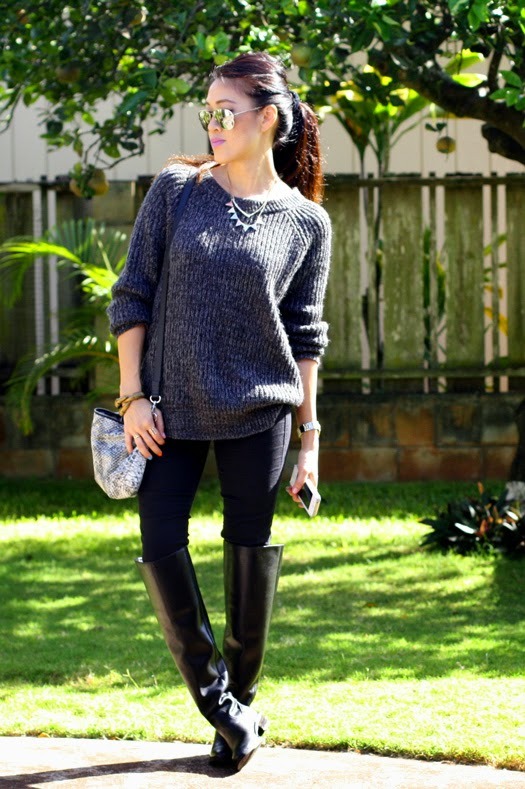 Love the boots! really makes the entire outfit stand out. Love your shades of black. Very comfy too. haha love the twist on words becks! 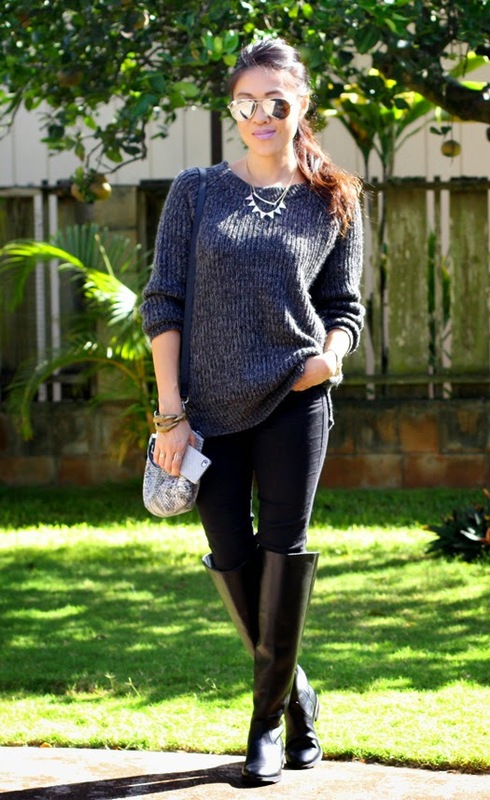 fab sweater and boots girl! Wow those are SS boots? They look soooo expensive babe! Total winter uniform with this ensemble, I can rock this all through the year.